Who owns Puerto Rico's debt? Puerto Rico is being dubbed "America's Greece." The island has too much debt that it can't pay. While the island managed to avoid default by making its big July 1 bond payments, Puerto Rico still has over $70 billion in outstanding debt to go. Governor Alejandro García Padilla has said the country won't be able to pay that all back, dubbing it a "death spiral." "To tell you the truth, Puerto Rico is a bigger problem for American investors than Greece," Alan Valdes, director of floor trading at DME Securities told CNN. "Most American investors have little exposure to Greece at all." The fallout: So who gets hurt if Puerto Rico doesn't pay up -- or if it only pays back a fraction of what it owes? It could be you. A lot of regular Americans hold these bonds. "I am worried. Any Puerto Rican is worried," Rey J. de Leon, a 42-year-old lawyer in Puerto Rico told CNNMoney. "We have a lot of people who are seniors and they depend on the returns from those bonds to live on a month-to-month basis." Over 20% of bond mutual funds own Puerto Rican bonds, according to data from Morningstar (the exact numbers are 377 funds out of 1,884 United States bond mutual funds). The majority of the funds with exposure are municipal bond funds or high yield bond funds. Puerto Rico's bonds have municipal status, meaning they are tax exempt. That's why a lot of retirees buy them. In total, bond mutual funds hold about $11.3 billion of the island's debt. Another roughly $15 billion is held by hedge funds. The remainder of the debt is held largely by individuals -- mostly Puerto Ricans and mainland Americans. "This is not the time to sell. The time to sell was maybe two or three years ago," says de Leon. He is still confident Puerto Rico will be able to find a solution. Is your bond fund invested? Puerto Rico's bonds have also been demoted to "junk" status. Many insurance firms and pensions can't hold Puerto Rican debt anymore because it has junk status. High yield bond funds invest in debt that is of poorer quality because it usually carries a higher interest rate to compensate investors for the extra risk they are taking on. Among the funds that hold Puerto Rican debt, some of the largest are run by OppenheimerFunds and Franklin Templeton. 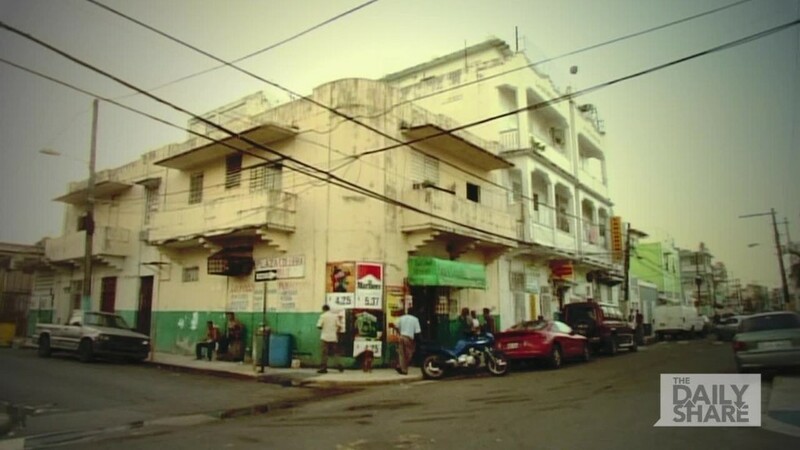 For example, the Franklin Double Tax-Free Income Fund (FPRIX) holds nearly half of its investments in Puerto Rican bonds. The fund is down 4.5% this year and has only a 1-star rating out of 5 by Morningstar. Numerous Oppenheimer Rochester municipal funds hold 15% or more of the fund in Puerto Rican bonds, including the Oppenheimer Rochester MD Municipal Fund (ORMDX), which is down 5% this year and has a 3-star rating from Morningstar. Funds are making it clear that they will pursue legal action if Puerto Rico doesn't pay. "We expect Puerto Rico to act within the tenets of the law, including the Commonwealth's Constitution, and are ready to defend the previously agreed to terms in each and every bond indenture," said a spokesman from OppenheimerFunds. In a blog post Tuesday, Franklin Templeton's co-heads of the municipal bond group wrote: "At the very least, in our assessment, Puerto Rico can expect creditors to seek legal affirmation and protection of contractual rights." What's next? On Monday night, Padilla boldly asked Congress to grant Puerto Rico the ability to declare bankruptcy. Under U.S. law, only cities like Detroit and municipalities can declare bankruptcy. Puerto Rico is putting together a "working group" to come up with a solution to its debt dilemma by the end of August. The island's economy has been stuck in recession for nearly a decade, which further hampers its ability to generate taxes and pay back creditors. Governor Padilla likes to say that Puerto Rico should not have to choose between paying its police and teachers or paying its creditors. But a lot of retirees and "regular Joe's" own Puerto Rico's debt on the other end.